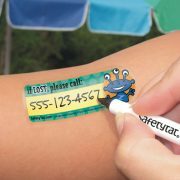 Out-of-this-world designs that both boys and girls love. 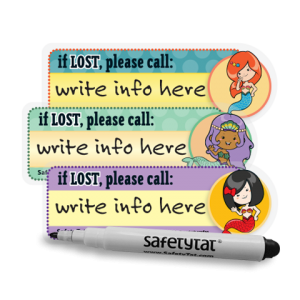 Simply write in your emergency contact phone number or other emergency data. 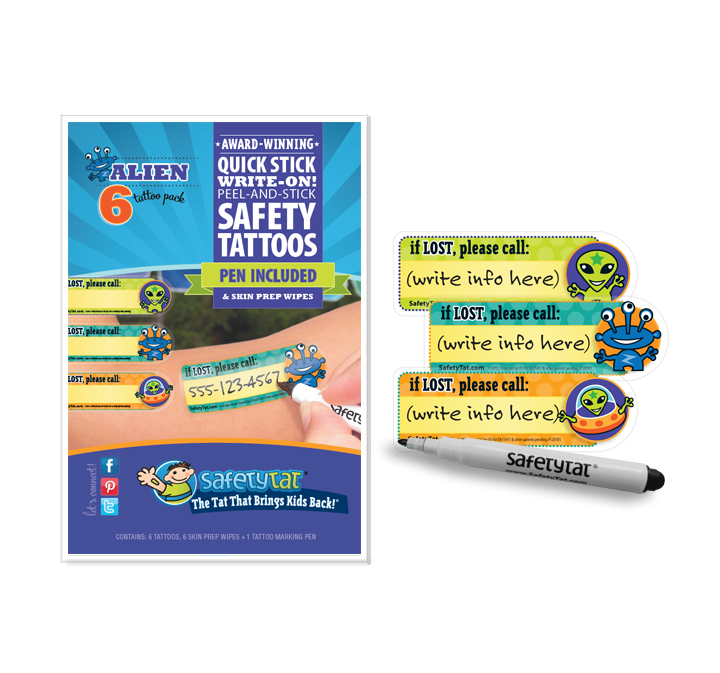 This Alien Design Quick Stick Write-on! 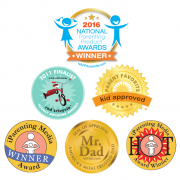 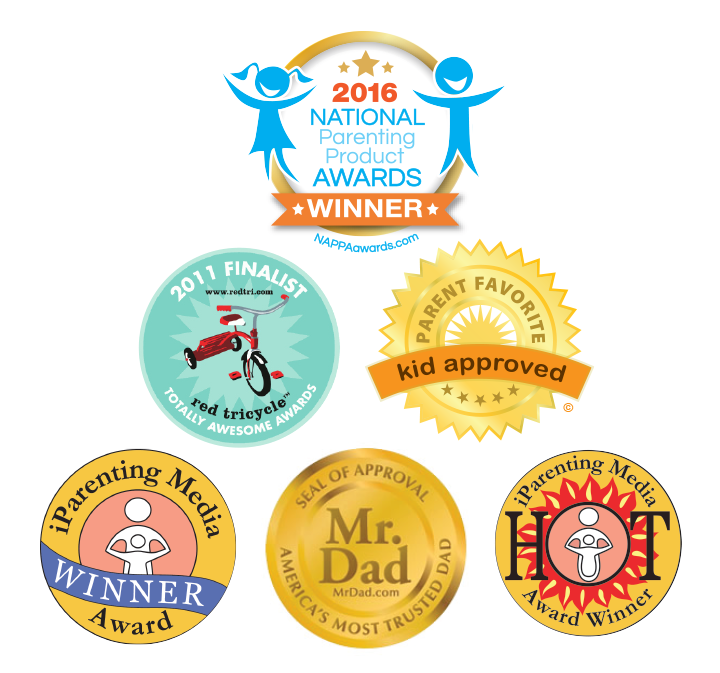 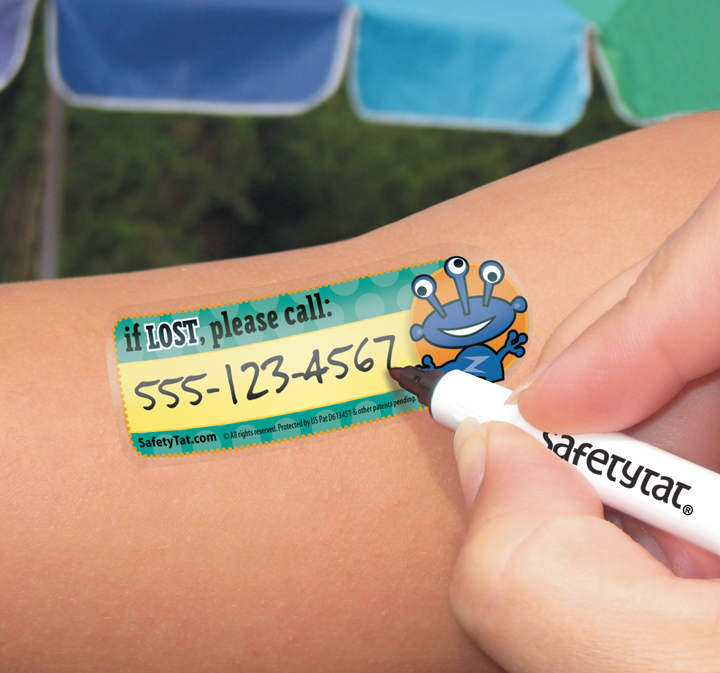 is our most versatile product requiring no water to apply. 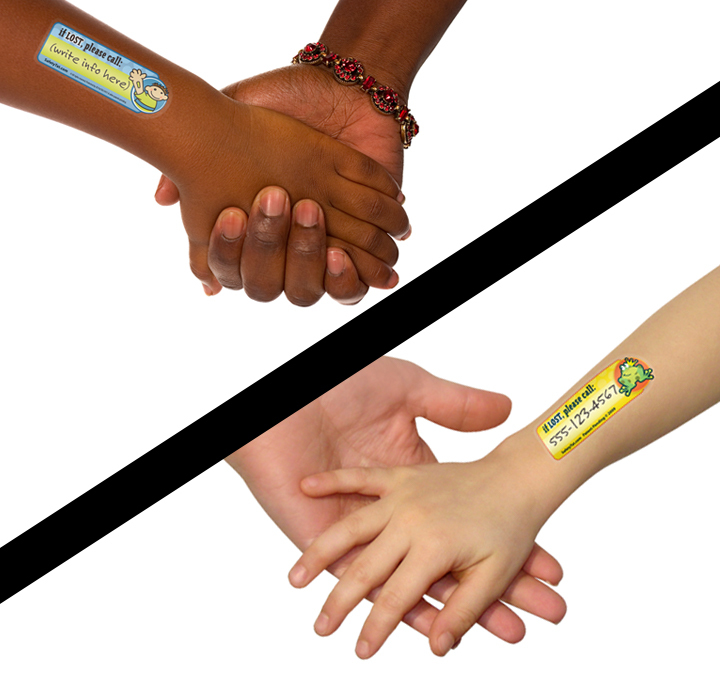 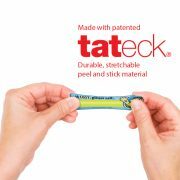 Simply peel and stick — “Quick Stick!” Made with proprietary Tateck®, it is an ultra-durable, medical-grade, skin applique “tattoo” with vibrant colors perfect for any skin tone. 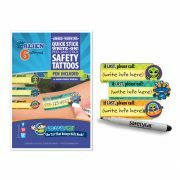 The Quick Stick Write-on! 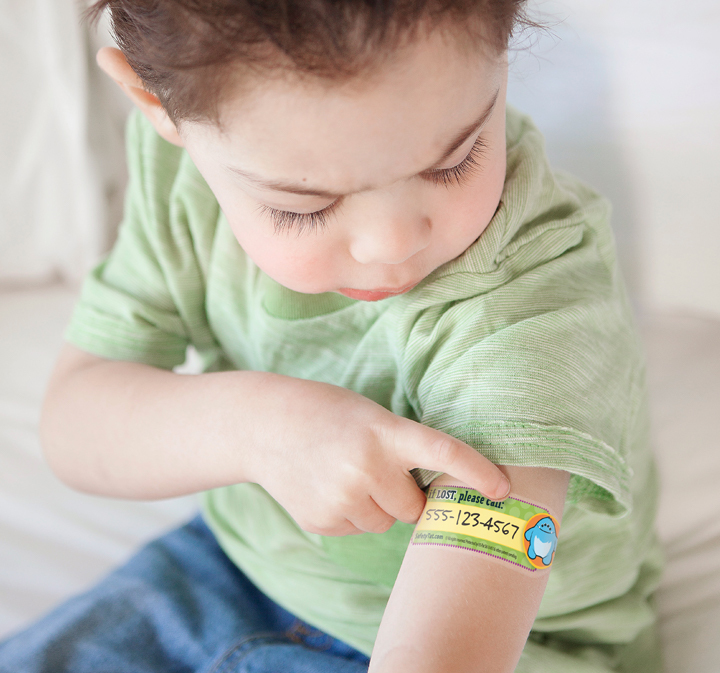 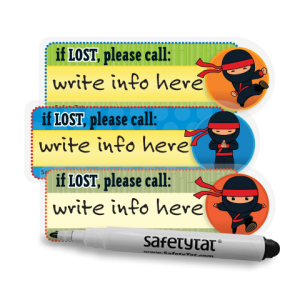 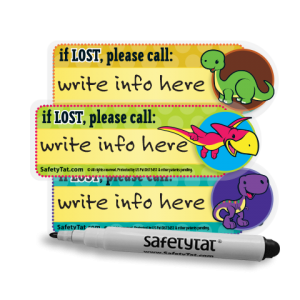 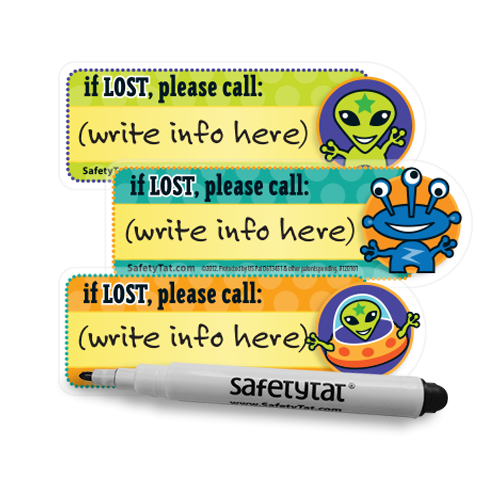 is packaged blank, so you can fill in your information with the provided SafetyTat pen. 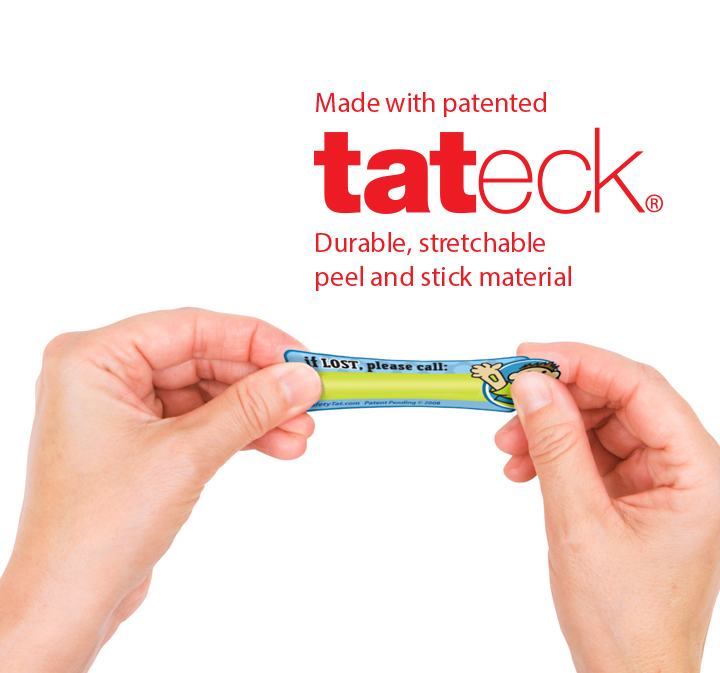 Quick Stick Write-Ons will last an extra long time — up to two weeks! 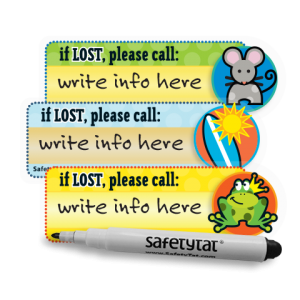 Read our application instructions for more detailed information.